This VIDEO Tour of 766 Avenida Del Piero in San Juan Bautista turned out really well. It is a gorgeous executive home which sits on a professionally landscaped , half acre and is bordered by a 510 acre Agricultural Land Trust. It offers 3 good size bedrooms and a nice office, 2.5 bathrooms and a finished, 3 car garage and 3,415 sq. ft. of living space. Travertine tile and plush carpet, 10′ & 12′ ceilings, recessed lighting and remarkable views out every window makes this home very desirable. It is an entertainer’s dream. The good news is that it was available for you to buy. The bad news: we received multiple offers, it sold over the asking price and sold in just a couple of days. People from many different areas were calling about the home. One gentlemen was going to drive down from Oregon (a 6 hr. drive) to buy it. He had seen the VIDEO Tour and wanted the home. However, to each all I had to offer was a different listing I am working on, in that same community, which should be on the market in a couple of weeks. This has become my good news, bad news experience: with a nicely staged home and great marketing materials my listings sell quickly and typically for more than the owners asked. I’m becoming more comfortable with: “Sorry, it went quickly, however, I’m will have another listing in that same subdivision. Would you like me to send you it’s information? Pssst, I Know A Great Place, Coming Soon! It’s fun to know, before others, about something which is coming soon. This is just, such a surprise: it’s a drop-dead-gorgeous executive home tucked away in the foothills of San Juan Bautista. Golf, nearby. Tennis, down the lane. Scenic trails & wildlife….. And the commute…so easy! Watch for the VIDEO Tour of it. I’ll be launching it about 2 weeks. You don’t want to miss this jewel! I have learned to share my “3 Piles” forecast with my sellers at the beginning of their listing. While it is inevitable, it is helpful to know where to put things when they start de-cluttering. The dialog goes something like this: “You are going to touch everything in this home when you move. It will show much better after you have removed all of the non-essential furniture, decorations. and nick nacks. You’ll find that your things will go into one of 3 piles: Things you wonder why you ever kept; things you don’t want to keep but are still in good condition, and: the things you actually want to keep”. Do you want to guess the size of each pile? In reverse order: the smallest pile will be those things you plan to keep and move. The next, larger pile, will be those things you are not going to take with you but are in good condition. This is the “donating” pile. Lastly, the 3rd and largest pile will be the stuff you toss. So have a garage sale or two to see if you can reduce the size of your ‘toss’ and ‘donating’ piles. You will have less to take to Goodwill or the dump and your home will be more appealing to your prospective buyers. 1. How much will you save in your monthly electric bill over, say 5 years by installing solar? Consider this total vs. the typical 20 yr loan offered for purchase of a system. 2. Will the remaining balance on your solar purchase/lease be transferable when you go to sell your home? 3. IF it is, will it be a ‘seller’s market’ (more buyers than homes for sale)? Or, will it be a ‘buyer’s market’ (plenty of homes to choose from vs. the fewer number of buyers)? 4. Considering the speed of technological advancements, when you go to sell your home in the future, will your solar system be antiquated? 5. Who is responsible for the integrity of the roof where the solar panels are installed? For how long? This year I have had to inform more than one home owner that their solar system loan/lease balance will have to be paid for by them. 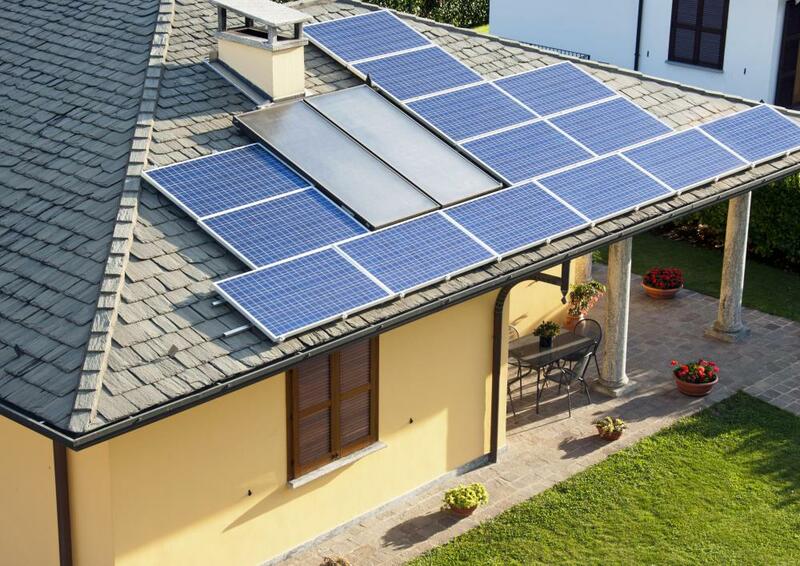 Buyers seem to consider the value of a solar system equal to about 2 years worth of electric bill savings. In my last 2 listings with solar panels, the sellers had to pay their remaining solar loan balance of $18,000 and $22,000 respectfully. Do you know of a happier solar-seller situation? Please share it. Gilroy, CA single family home prices have followed a fairly typical pattern over the last 12 months although the average sale price for 10/15 is virtually the same as 12 months ago. I reviewed 548 Gilroy sales of single family residences from 11/14 to 10/15. We saw a fairly flat market from Nov. last year to Feb. this year. Then, in March the prices began to rise and spiked in July. Since July the average sales prices drifted back to the same level as this time last year. It is important to note that in 2014 Gilroy home values increased roughly 21% from Jan. through Dec. And, Jan. this year saw average prices roughly 11% higher than 12 months earlier. So, what does all of this mean? Well, if you are a buyer and like to play the odds, your best buys will typically be between now and next Feb. or Mar. If you are a home owner who is thinking of selling you may want to be ready to go on the market in March or April. Lastly, you may find that next year, being a National Election year where a sitting majority will want to maintain their plurality, will be anyone’s guess as to what home prices are going to do in Gilroy. Actually, I have a prediction based on the 9 other national election years I have seen while in the housing business. Text, email or call me for that information. Thanks to MLSListings for the data.